Areas covered include: covered bonds, the Kangaroo bond market, debt capital markets in Spain and China, Bond administration system of Japan, new prospectus regime under the Swiss Financial Services Act, and many more. 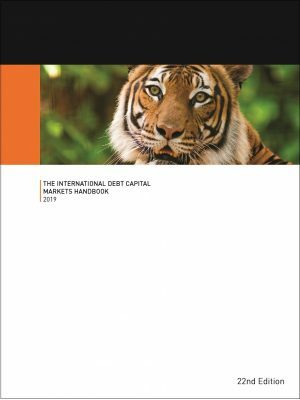 We are pleased to be working with the European Covered Bond Council and the Nordic Investment Bank on the new edition of the International Debt Capital Markets Handbook. The annual meeting of the International Capital Market Association (ICMA) is a long-established major gathering for the global bond market. At the ICMA AGM and conference in 2019 we expect over 1000 individuals from the market and from ICMA’s international membership, to join us in Stockholm to discuss the issues facing the market and its future development. The event will be held at the Waterfront Conference Centre with networking receptions at Artipelag and the Vasa Museum. The conference is also open to ICMA non-members. IMN’s Global Covered Bonds Conference will herald the first substantial gathering of the covered bonds industry of the year, and brings issuers from around the globe, as well as European investors looking to diversify their portfolios to the convenience of one London venue. With record setting deals issued to start 2019 this conference enters a year of opportunity and transition, given the ECB funding withdrawal and harmonisation directive, as well as a covered bonds market in a post-Brexit era. The conference will provide thought provoking discussions, attendee networking and timely content for the continuity of this key funding tool. The ICMA Annual General Meeting (AGM) and Conference is long established as one of the key events in the financial market calendar. Featuring influential speakers from governments, regulatory authorities, central banks and financial institutions, it consistently draws a large audience of from ICMA’s international membership, the wider financial community, the authorities and financial press. In its 50th year, the focus of the event is very much on how the capital markets of the future can continue contributing to economic growth, sustainability and prosperity. The 50th ICMA AGM & Conference will take place in Madrid on May 30 to June 1, 2018. IMN is proud to announce the 11th Annual Global Covered Bonds Conference will take place 27 March, 2018, in London. This event will herald the first substantial gathering of the covered bonds industry in 2018, and will broaden its focus to a truly global perspective by identifying and analysing the newest emerging markets for the covered bonds product. The event will host issuers from around the globe representing both established markets and new hot beds of activity. European investors looking to increasingly diversify their portfolios will have a unique opportunity to tour the world of covered bonds in the convenience of a London venue.